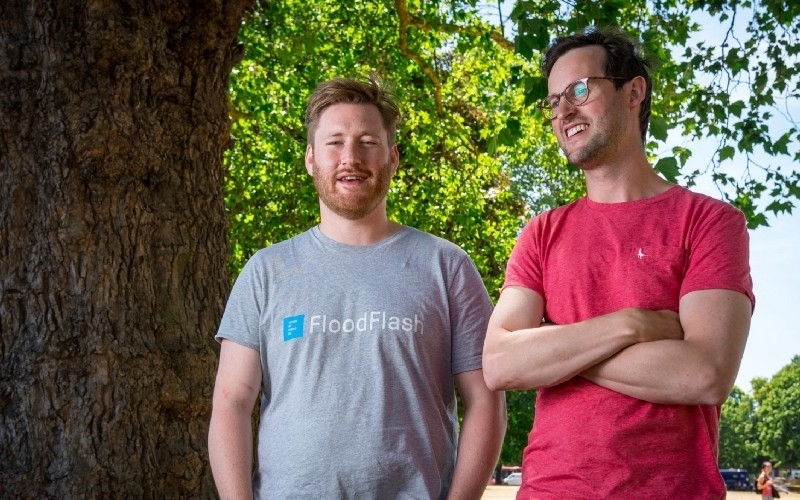 Insurtech start-up FloodFlash has raised £1.9 million of seed funding to accelerate the nationwide roll-out of its service. LocalGlobe, Pentech Ventures and InsurTech Gateway provided the funding, as FloodFlash, which offers a new way for customers to insure previously uninsurable flood risk, carried out a live pilot for its policies with a select group of small- and medium-sized enterprises (SMEs) in parts of the UK. A FloodFlash policy pays out a pre-agreed, fixed sum as soon as a pre-defined level of flooding occurs. The flood triggers an internet-connected water-sensor and the payment is made immediately to the policyholder. Its founders, Adam Rimmer and Ian Bartholomew, who previously modelled and structured parametric catastrophe bonds for large corporations and governments, wanted to make these kind of insurance products available to SMEs. Insurance capacity for FloodFlash policies is provided by Everest Re through its syndicate at Lloyd’s of London. The company is becoming a coverholder at Lloyd’s, giving it the ability to underwrite and issue a larger number of policies. FloodFlash has been working as part of the InsurTech Gateway, the insurtech-focused incubator, since 2017. The start-up currently employs five people but expects to double that number over the next six months, as it prepares for product launch in October. The team already includes published scientists, expert insurance software engineers and a former Dyson product designer.